Hello, we’re Kenneth and Gloria Copeland. For almost 52 years, we’ve been passionately teaching Christians all over the world how to apply the principles of faith found in God’s WORD to their lives. We have seven ministry offices around the world: United States, Canada, Africa, Asia, Australia, Europe, Ukraine and Latin America. Our God-given directive is to preach and teach the uncompromised WORD of God on every available voice, which is being accomplished through a variety of channels, including our Believer’s Voice of Victory TV and radio broadcasts, podcast and magazine; Believers’ Conventions, Victory Campaigns and Living Victory meetings; published books, website, and social media channels, to name a few. With the expansion of technology, we have more work to do now than ever. We are determined to let the world know Jesus is LORD, and we’re not slowing down anytime soon! Watch this video to get more of an idea of what The LORD is doing through KCM. We are called to teach Christians, just like you, how to overcome life’s obstacles and to live in victory by applying principles found in the Bible. The wisdom of God’s WORD can help you with ANY situation in which you may find yourself. Generally, our teachings fall within one of these categories: Finances, Relationships, Healing, Prayer, Faith, Life & Work, and Spiritual Growth. You can find out more about specific ways to access our teachings on our Start Here page. We both started out just like any two people who haven’t been taught to put their faith in God’s WORD, and it definitely showed in our lives. We were broke, in debt up to our eyeballs, sick and flat-out discouraged. Then, one day we made a quality decision to make Jesus The LORD of our lives and to put our trust in God and base our lives on His WORD. If a situation in our lives didn’t line up with what we read in the Bible, we changed it! That decision made all the difference…It literally changed everything! We soon began to experience THE BLESSING—joy, peace, freedom, health and love—in every area of our lives. As we witnessed our lives changing, we were compelled by God to share this message with everyone, and Kenneth Copeland Ministries was born in 1967. Since then, hundreds of thousands of Christians have learned how to apply The WORD to their lives, find their unique voice, and live in victory. This has spread further than we could have ever imagined, and it’s all because of God’s grace and the dedication of our Partners. Because of their contributions, the good news of the gospel is going out all over the world on every available voice, and lives are being forever changed! If you’d like to join us in our mission, consider partnering with us. We’ve been married for 57 years, and we have been blessed with three children who actively support the work of the ministry. 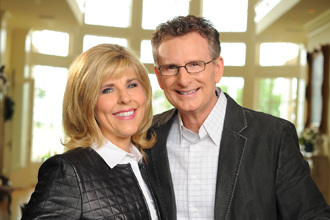 Our eldest daughter, Terri Copeland Pearsons, and her husband, George Pearsons, serve as pastors of Eagle Mountain International Church. George also serves as CEO of KCM, and Terri is KCM's Chief of Staff. They are passionate about discipling believers intensely in The WORD of God and teaching them an uncommon faith to help them stand victoriously in life. Our daughter Kellie Copeland is the Manager of Covenant Partner Services at Kenneth Copeland Ministries. She is the developer of the Superkid Academy curriculum. 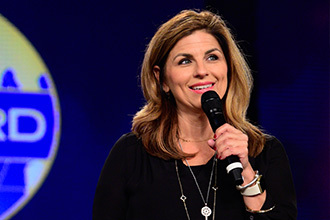 Through her ministry and as “Commander Kellie,” she fulfills the mission of drawing people of all ages into a personal, growing and powerful relationship with Jesus Christ. 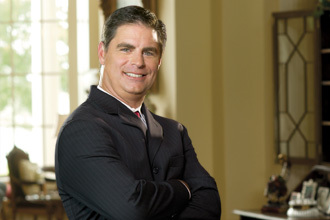 Our son, John Copeland, worked with us for 23 years in various positions, including serving as CEO until January 2017. Today, he is involved in various business pursuits. In addition, we are blessed to have 10 grandchildren and nine great-grandchildren. Whether you need prayer, Christian teaching materials or Partner Service assistance, feel free to contact the office nearest you or you may use one of the links online. Thank you for stopping by to learn more about us and the ministry. We pray this site blesses you!